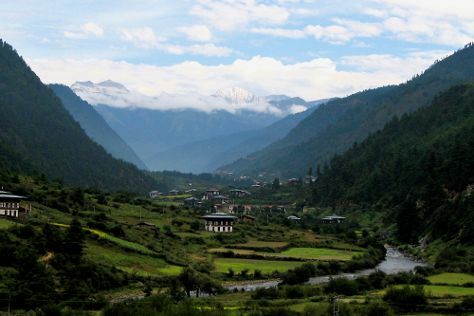 A charming historic town with many sacred sites cradled in a verdant valley, Paro offers a scenic base to explore the important Buddhist attractions and pristine nature around it. Get a sense of the local culture at Taktsang Palphug Monastery and Paro Taktsang (Tiger’s Nest). Explore the numerous day-trip ideas around Paro: Thimphu (Dochula Pass, Wang Chu Park.Centenary Park, & more). Next up on the itinerary: contemplate the long history of Rinpung Dzong, take in the views from Tachogang Lhakhang Bridge, and take in the spiritual surroundings of Kyichu Lhakhang. To see maps, ratings, photos, and tourist information, you can read our Paro travel route planning app . Singapore, Singapore to Paro is an approximately 9.5-hour flight. The time zone difference moving from Singapore Time (SGT) to Bhutan Time (BTT) is minus 2 hours. Plan for cooler temperatures traveling from Singapore in March, with highs in Paro at 19°C and lows at 6°C. Finish up your sightseeing early on the 11th (Mon) so you can go by car to Ha. 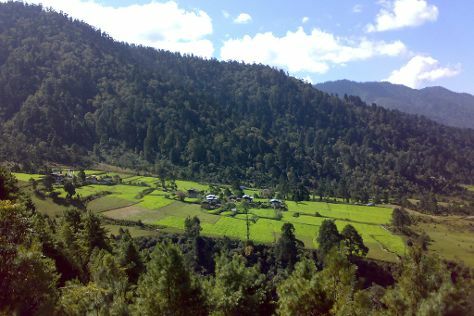 Ha or Has is a town and seat of Haa District in Bhutan.Ha is situated in the west of the Sandalwood Kingdom near Sikkim in the Ha Valley. Kick off your visit on the 12th (Tue): admire the verdant scenery at Haa Valley. To find more things to do, other places to visit, reviews, and tourist information, use the Ha driving holiday planning site . You can drive from Paro to Ha in 1.5 hours. On the 12th (Tue), wrap the sightseeing up by early afternoon so you can drive to Gangtey. Kick off your visit on the 13th (Wed): contemplate in the serene atmosphere at Gangtey Monastery and then admire the verdant scenery at Phobjikha Valley. To see other places to visit and more tourist information, read our Gangtey trip planner. You can drive from Ha to Gangtey in 4.5 hours. Finish your sightseeing early on the 13th (Wed) to allow enough time to drive to Punakha. The imperial past feels present in Punakha, where an impressive fortress testifies to the heyday of this former capital of Bhutan. Start off your visit on the 14th (Thu): contemplate in the serene atmosphere at Chimi L'hakhang Temple, make a trip to Khamsum Yulley Namgyal Chorten, then take in the spiritual surroundings of Punakha Dzong, and finally snap pictures at Punakha Suspension Bridge. To find ratings, where to stay, maps, and more tourist information, refer to the Punakha tour itinerary planner. Traveling by car from Gangtey to Punakha takes 2 hours. You'll set off for home on the 15th (Fri).